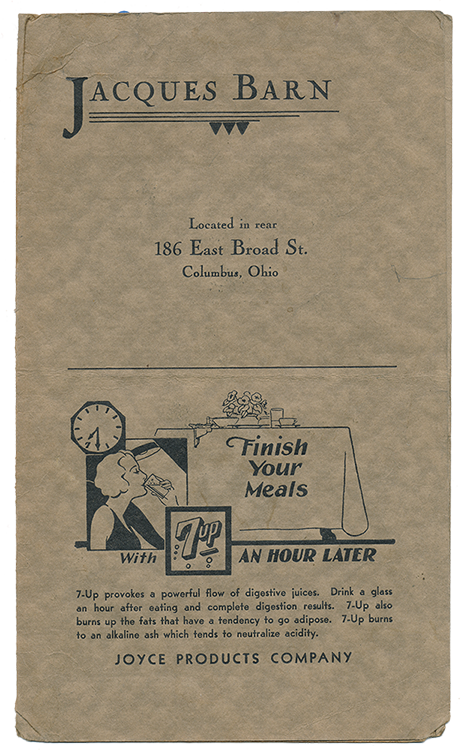 Having actual food in the archives would be bad, but menus are another story. 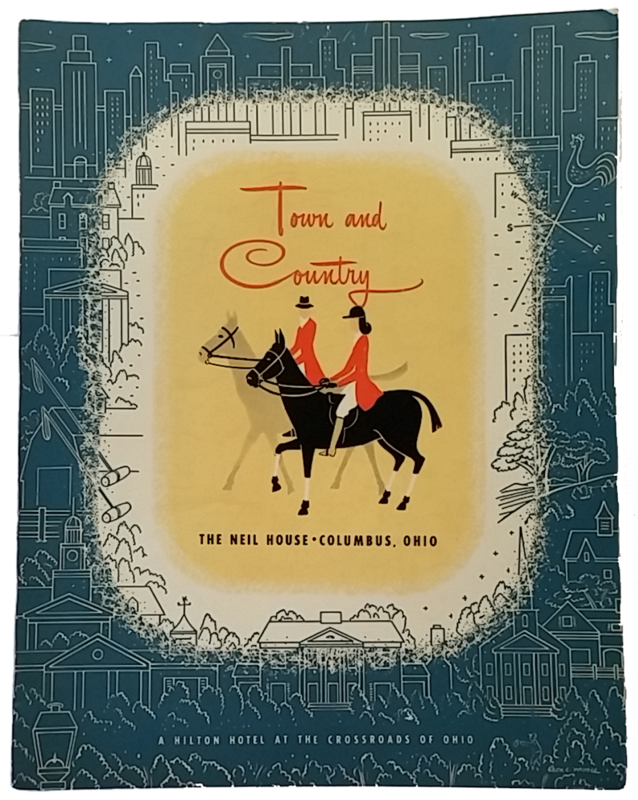 The Laura M. Mueller ephemera collection includes a selection of Columbus restaurant menus that spans most of the 20th century. We’re sharing a few sample menus below. Henry Chittenden built a total of three hotels in the same location on the northwest corner of N. High St. and Spring St. The first two burned to the ground within a three-year period in the late 1800s, but the third (which was designed by Columbus architects Frank Packard and Joseph Yost and was built without any wooden structural elements) operated from 1895 until 1972. 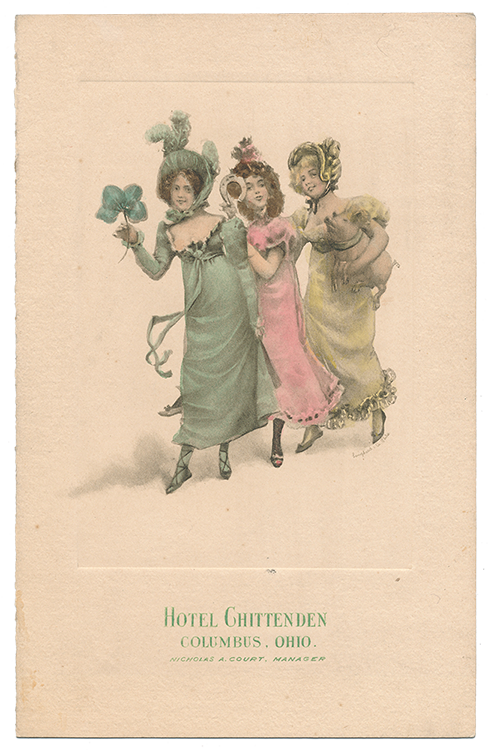 The eight-story hotel was one of the finest in Columbus, with luxurious décor and an equally luxurious restaurant. 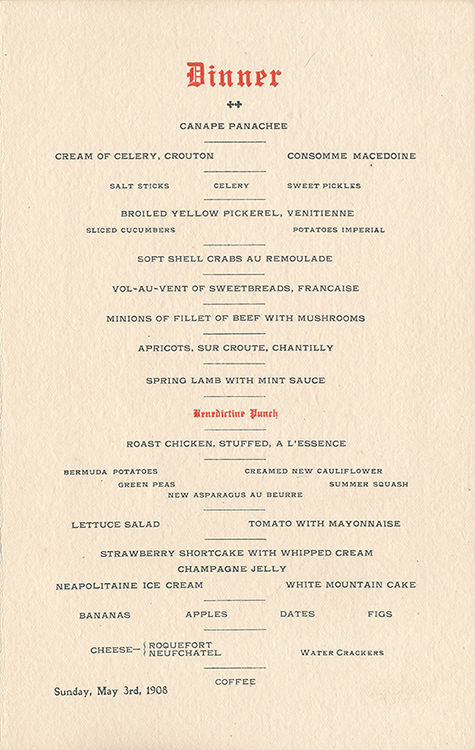 Below is the Hotel Chittenden dinner menu from May 3, 1908. 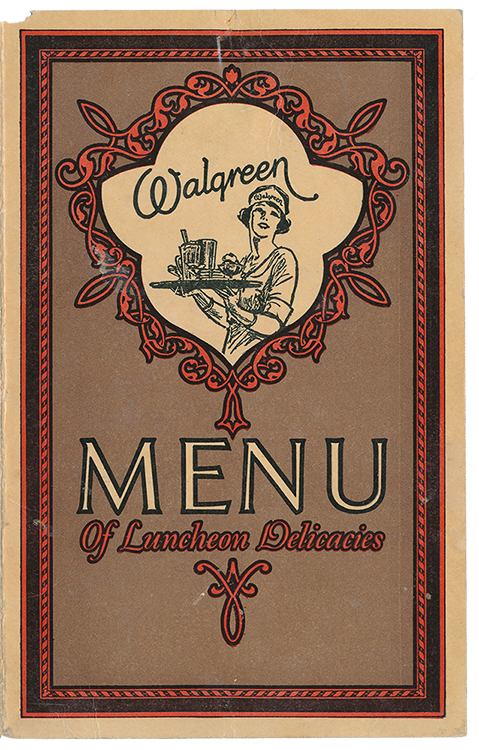 For a change of pace, we also have a menu from a downtown Walgreen ca. 1930. Finally, we have a menu from the Jacques Barn restaurant on Broad Street. 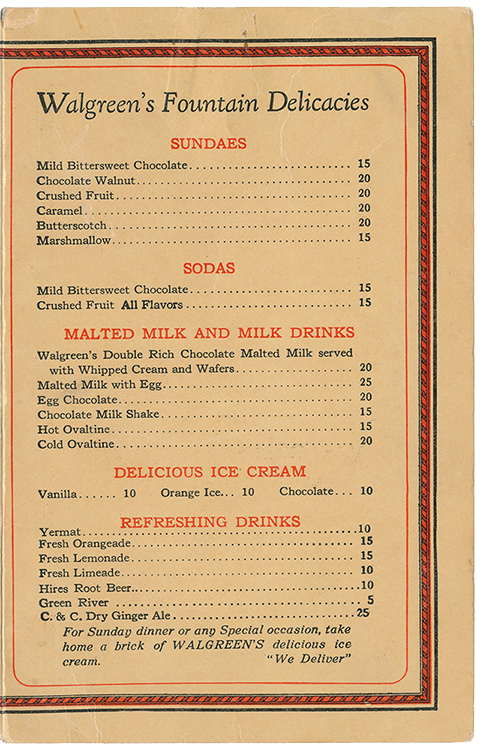 The menu is undated, but visitors could get a porterhouse steak with fries, salad, rolls, and a beverage for 85 cents.